Ocean Vuong was born in Saigon, Vietnam, currently living in Massachusetts, serving as an Assistant Professor in the MFA program for Poets and Writers at Umass-Amherst. Vuong is the recipient of the Ruth Lilly fellowship from the Poetry Foundation. His honors include fellowships from the Lannan Foundation, the Civitella Ranieri Foundation, The Elizabeth George Foundation, The Academy of American Poets, and the Pushcart Prize. Ocean Vuong is featured in The New Yorker, Poetry Magazine, Beloit Poetry Journal, Linebreak, The Nation, American Poetry Review, and TriQuartely. 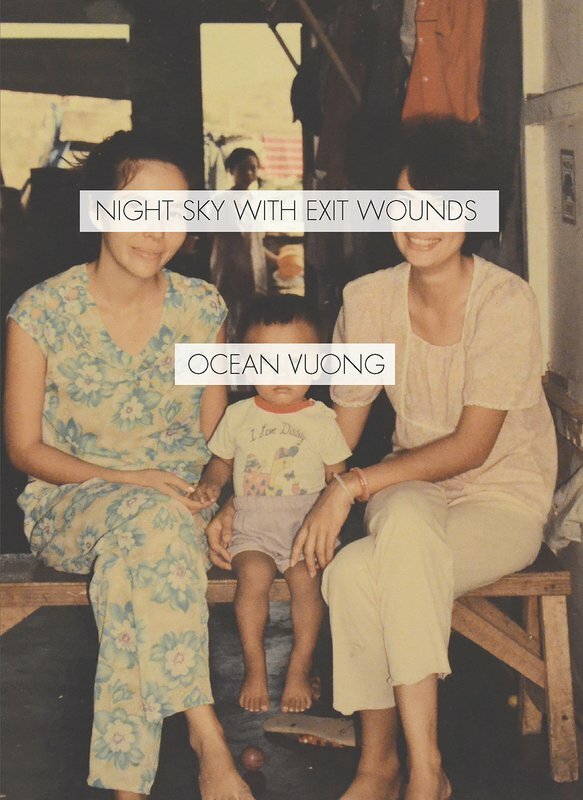 Ocean Vuong’s books include Burnings (2010), No (2013), and Night Sky with Exit Wounds. Ocean Vuong obscures the binaries of masculinity and femininity during times of chaos, as seen in “Trojan.” The poem pulls the reader into turmoil, juxtaposing the beauty of the boy: “The dress / petaling off him like the skin / of an apple.” Violence and beauty are taken together as an expressive inner-battle, relying on the allusion of the wooden horse from the Trojan War. The boy hides inside himself like the soldiers hide inside the wooden horse, and together the boy and soldiers deceive those against them, yet the boy faces his own downfall: “How easily a boy in a dress / the red of shut eyes / vanishes / beneath the sound of his own / galloping.” The boy falling under his own “galloping” can be pointing to the death of his own identity. It is only when he is, “the wind, they will see him.” The boy, who falls under himself, travels through the spectrum of gender and seemingly becomes his own martyr, a symbol of visibility. 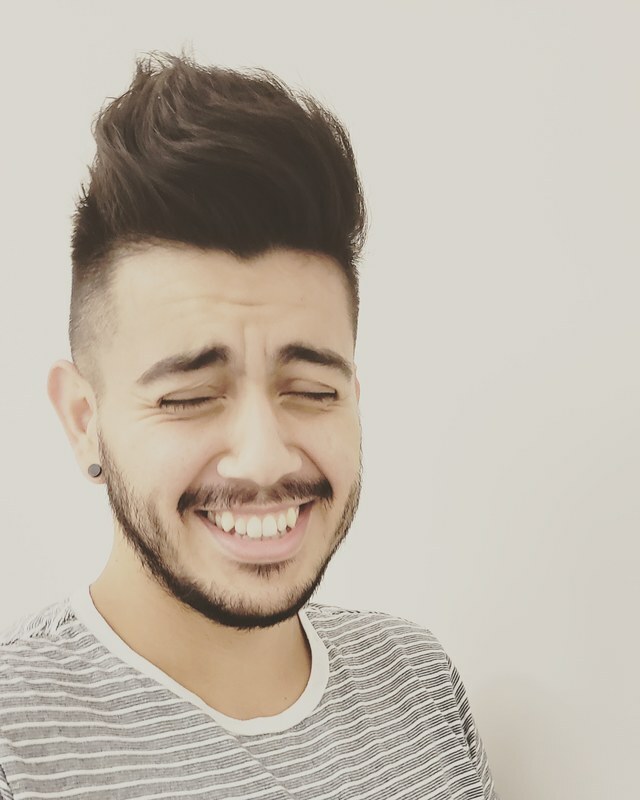 Visibility is a notable feature in Vuong’s poetry, discerning the last words of a man to his lover, as their lives are brutally offered to the flames in their own home. The “Seventh Circle of Earth” is a configuration of footnotes, from one to seven, an allusion to the Divine Comedy, specifically the “Seventh Circle of Hell,” where Dante discovers “sodomites” boiling in fire. Vuong’s speaker acts as Virgil, guiding his lover through each circle of hell, before descending into the flames. Limbo is found in the words, “To forget / we built this house knowing / it won’t last,” knowing the spaces and limits of this society. Lust manifests itself in the lover’s last words, cleverly using idioms to unpack the gentle disposition of the men despite their situation: “when I say I burn best / when crowned / with your scent: that earth-sweat / & Old Spice I seek out each night.” The internal rhyme Vuong crafts into his poem spaces the reader’s attention, allowing time to take its course, evoking memories before the intensely vivid moment to come. Gluttony, indulgence, basking in pleasures, are all an inevitable source of human life, and so, when one lover asks for more, “Don’t laugh. Just tell me the story / again, / of the sparrows who flew from falling Rome, their blazed wings,” sin takes its place in the vague void of subjectivity. When the speaker demands his lover, “Speak-- / until your voice is nothing / but the crackle / of charred,” driving the last of their fire-filled breathes to express their passion, like greed often drives the desires of men to sin for things less than philia. And, when the men arrive at the fifth circle, their anger is used to fight for a devotion to one another: “When they come / to sift through these cinders--& and pluck my tongue, / this fisted rose, / charcoaled & chocked / from your gone mouth.” Heresy is the sixth circle reached before arriving at the violence that the men are mistaken for committing. The speaker’s profound statement is, “Look how happy we are / to be no one / & still,” falling into the seventh circle, the speaker’s violent offense is, “American.” Vuong’s ability to fuse the characteristics of sin as a motivation for fondness and affection, not only questions the presumption of good-intent and bad-intent, or sin versus virtue, but sharpens the open interpretation of morality. Vuong’s exposition is plainly spoken in “Notebook Fragments,” taking profound segments of his life, and asking the situation if it is, “good or bad?” Vuong combines allusions and history to assess the influences of his present identity. For instance, the speaker, to himself, says, “Note to self: If Orpheus were a woman I wouldn’t be stuck down here,” using the allusion of the legendary, ancient Greek musician to assert his queer identity. Vuong goes further to examine his current state, simplifying his existence to a mathematical solution: “An American soldier fucked a Vietnamese farmgirl. Thus my mother exists. / Thus I exist. Thus no bombs = no family = no me,” following the statement with, “Yikes.” Vuong’s relationship with the Vietnam War is bound to his identity and “self,” recognizing the intensity of his existence. He continues, “Eggplant = cà pháo = ‘grenade tomato.’ Thus nourishment defined / by extinction.” Again, Vuong is asserting violence and death breed life, two collocating ideas, yet proving the interrelationship of the two possible. Vuong’s examination of himself, in bits and pieces, allows room to explore the relationship of two variances, while discovering an association that questions the moral boundaries of the ambivalent notions. Ocean Vuong’s Night Sky with Exit Wounds is an oscillation of words, ideas, values, beliefs, and morals, relating back to the major human experience, grounding itself in themes of family, gender, sexuality, violence, war, and the accumulation of the “self.” Vuong’s poetry isolates itself on the page, finding seclusion to be a powerful force for thinking, imagining, and empowering. Night Sky with Exit Wounds is perfect for the reader that needs a moment to retreat into solitude, discovering a multitude of spectrums that only often surface as dichotomies. Ocean Vuong’s ability to explore the ambiguity that lies beneath the superficial, inspires readers to investigate the possibilities.